A ton of historically-proven methods you can use to rig, cheat, borrow, enhance, or downright steal an election—listed just for you! With this guide at your disposal, you’re guaranteed to win! So, you’ve decided to run for election. Congratulations! I admire your strong desire to tell other people how to live their lives. If anyone can do it, it’s certainly you! Before you officially get started, I have some good news and some bad news for you. In today’s fast-paced world, your opponents will be using dirty tricks to get themselves elected. Simply asking people to vote for you isn’t enough to win. But don’t worry, I’ve got your back. There are a ton of historically-proven methods one can use to rig, cheat, borrow, enhance, or downright steal an election; and I have listed them just for you! Whether you are running for local office, aiming at a congressional or senate seat, or shooting for the highest office in the land, with this guide at your disposal, you are almost guaranteed to win. That is, unless your opponent is planning on using method #20. Just be cautious. Don’t lean too heavily on one method over another. Instead, do a little bit of a lot of things. Take it from the wise words of Craig C. Donsanto, head of the U.S. Department of Justice’s Election Crimes Branch, Public Integrity Section (from 1970-2010) in a July 4,1989 Los Angeles Times article about electronic voting machines and vote fraud. 1. Challenge the Electoral College. Do we even need to cover what happened between George W. Bush and Al Gore in the 2000 elections? In the 2016 election between Donald Trump and Hillary Clinton, the upset was so severe for democrats that they immediately moved to attempt to delegitimize the electoral college voting system, saying that Hillary Clinton won the popular vote and therefore should be the president of the United States. The problem is, people have zero understanding of the purpose of the electoral college and the reasons for not holding a pure democratic vote; nor do they understand the inherent dangers of direct democracy. That’s where you come in. This strategy takes advantage of people’s lack of understanding about the reasons they do not vote directly. Start by calling up your buddies in the news media (see: side strategy #2), and start spreading news stories to all of the low-information voters to get them furious and afraid. Tell them how unfair it is and how they need to insist on changing the entire system so that you can attain your rightful place. Or this example from November 10, 2016, by John Kass of the Chicago Tribune. John claims “Without Electoral College, we'd live in real-life 'Hunger Games.” In this piece, he spells out a world in which the fly-over states would turn into a desolate wasteland—somewhat akin to District 13 in the Hunger Games—if we didn’t have the electoral college to protect us. Notice these two authors focused on fear-mongering; an excellent strategy when you don’t want your victims… I mean, readers thinking critically. One says you should be scared because we have the electoral college. The other says we should be scared if we didn’t have the electoral college. The strategy you use will depend on which political party you shill for. When simply redrawing district lines isn’t enough, you may have to encourage your constituents to vote in more than one county. These voters are often referred to as MM Voters (Multiple Municipality). MM Voters are a precious resource, so treat them well. They are the most dedicated cheerleaders of your cause; the type of people who are willing to travel from county to county (and even state to state if needed) to help you achieve your ultimate goal. Take Pasco Parker, for example. This MM voter was so dedicated to getting a win for his candidate that ”prosecutors say the 63-year-old Tennessee man voted in the 2012 presidential election, not once ... not twice ... but three times, in three different states.” That’s incredible! Remember when our forefathers said everyone gets an equal vote to elect their representatives, UNLESS you are in the wrong side of an imaginary line placed down by those representatives and their lawyers? Well, that’s the whole idea behind—WARNING! Vocabulary term incoming!—Gerrymandering (also known as redistricting). The game works like this. In order to get elected you don’t just need to get votes. You need to get the right votes. The best way to do this is to divide people (quite literally) into categories that are more likely to vote for you. Who cares about the idea of one vote per person? Simply draw seemingly ridiculous invisible lines all over your congressional map and let the fun begin! If you can successfully redraw these lines, you can outsmart those pesky voters who want to vote for your opponent. Your seat is protected and everyone wins! Well, the voters lose, but all that really matters is that you won. Congratulations! In the following clip (1:56) Rachel Tobac shows us how easy it is to gain admin access to the voting machines in under two minutes with no tools. Sometimes, you don’t even have to “hack” into these machines, per se. All you have to do is put complete idiots in charge of running the machines. Like that time when the Virginian voting machines had “admin” as the password. "The vulnerabilities were so severe, and so trivial to exploit, that anyone with even a modicum of training could have succeeded. A hacker wouldn’t have needed to be in the polling place—he could have been within a few hundred feet (say, in the parking lot) or within a half-mile if he used a rudimentary antenna built using a Pringles can." 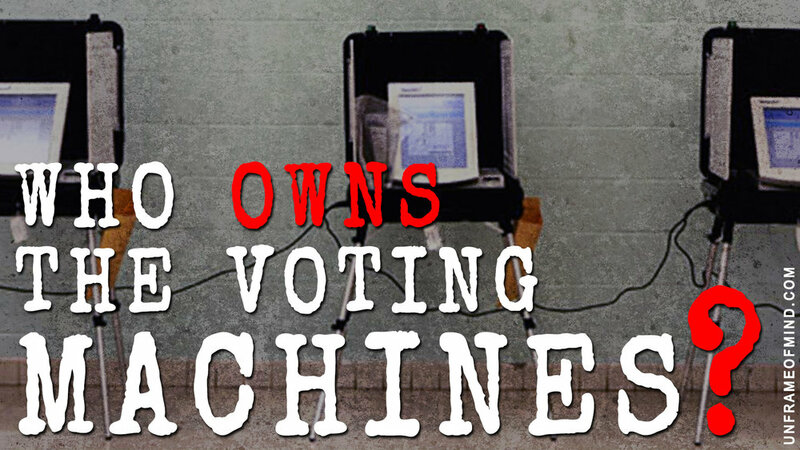 But why wait to hack the voting machines after they are out in circulation when you can simply own and manufacture them yourself (or at the very least, have the owners as friends). For more information on this, check out my podcast with Lynn Landes and Bev Harris [audio below]. There’s no better way to manipulate the vote than to lie! That’s right! Tell people what they want to hear. Tell them that you will give them “free stuff.” Tell them that you will make all their worries go away. Make promises that you know damn well you have no intention to keep. But despite being constantly lied to by their soon-to-be leaders, people still seem to take the bait. I know it doesn’t make any sense, but that’s the reality of it. People are easily swayed by free stuff and false promises. Use that to your advantage and get those shee... I mean people to vote for you! Trying to shut down dissenting opinions in order to win elections is as old as elections themselves. In today’s high-tech environment, you have to coordinate with your social media cabal and shut down dissenting opinions, using tactics from shadowbanning to outright cancelling of whole profiles/channels. Twitter CEO Jack Dorsey later admitted before Congress to shadowbanning conservative voices, but the damage was already done. This passage by George Orwell from his dystopian novel, 1984, sums it up nicely. Use this as a template for shutting down voices and opinions that run counter to yours. If you need more examples, you can see Stefan Molyneux’s coverage of the leaked Google tape. This one is pretty straightforward. You convince people that they have a right and a duty to vote, plead with them to make it to the polls, and then hire a gang of thugs to stand outside the voting locations to intimidate people. This allows you to control the vote simply by choosing the gang of thugs that is most likely to scare away the people you don’t want in office. This maneuver is risky because if you overplay your hand, it might have the opposite effect. People who are desperate for their candidate to win might now be driven to the polls, attempting to move the vote in their favor. Realistically, this strategy is not a very good way to swing an election in your favor; although it might make you feel better about yourself in the moment. If hacking into the machines or even owning the voting machine companies proves too difficult, why not just hack into the election results website for your state and change the results yourself. At the 2018 DefCon hacking conference in Las Vegas, an 11-year-old successfully hacked into a replica of the website used by the Florida Secretary of State to report election results and changed them. It took the young hacker only 10 minutes to break in and gain access! At that rate, you could have a small army of sixth-graders hack all fifty states in a matter of minutes! Just imagine the discord you could sew into the voting population when they hear that one candidate won, but the official results website clearly stated that the other had won. Oh, the beautiful riots that would ensue as voters bickered over who was reporting real news and who was reporting #FakeNews. Hillary is going to start WWIII! Evil racist Nazi’s are EVERYWHERE! Gangs, thugs, drugs, pedophiles, Satan worshippers are EVERYWHERE! Neil Boortz on the Kavanaugh hearing: Women will DIE!!! In order for this to work, you have to instill fear into the population, even to the point of publishing a book literally named “Fear: Trump in the White House” before an important midterm election. There isn’t a more effective way to keep people from voting than to make voting day on a weekday; a day when the more productive members of society are at work; a day when people who are dependent on “free stuff” from the government are more likely to be available. So, keep this rule in place, and you will have another opportunity to tip the scales in your favor. 13. Have Vote. Rinse. Repeat. Let’s face it. Sometimes people just get it wrong. So, the best way to fix people’s ignorance is to make them vote for something over, and over, and over again until they get it right. Remember when President Nicolas Sarkozy (France) angered politicians in Ireland by declaring that the country will have to hold a second referendum on the Lisbon treaty; suggesting the EU should force Ireland to re-run its referendum? If only those dumb Irish politicians hadn’t given their people the opportunity to decide for themselves what they wanted to do. Why can’t they be like all the other 26 European Union countries and just force their will upon the people, right? It’s just so much more fun to grind down people’s aspirations for freedom. Denmark rejected Maastricht Treaty in 1992 but was made to vote again. Ireland rejected the Nice Treaty in 2001, but, like Denmark, was forced to vote again. Both France and Holland rejected the EU Constitution in 2005. That was replaced by the almost identical Lisbon Treaty in 2008. Next stop, Brexit. If you want to have the MOST impact on an election (and therefore the best chance of getting into office), hire a Russian bot farm. According to many sources, these bot farms are so effective that millions of unsuspecting Americans elected to vote for Donald Trump in the 2016 election because of the overwhelming influence by these fake Twitter/Facebook bots. Special counsel Robert Mueller, the former director of the FBI, heading the investigation into Russian collusion was so worried about these bot farms that he proceeded to indict 13 individuals from Russia; knowing damn well they would never agree to come to the US to be put on trial. Let’s be real. Those 13 Russians are likely laughing their asses off as they read the “official documents” detailing their crimes; after they were translated into Russian, of course. In all seriousness, if you have a population that is so dumb and uninformed that a bit of exposure to a fake Russian troll account is all it takes to sway their vote, do you really need to be letting those people even have a vote? Seems mighty irresponsible to me; kind of like giving a three year old a fillet knife and asking him to run laps. Dear candidate, sometimes there just aren’t enough healthy, breathing voters to support you. That’s why, for the low low price of what’s left of your dignity and a possible vacation in hell, you can now tap into the undead population to inflate your numbers! For example, when you have an election as close as the Special Election held in August of 2018 for Ohio’s 12th Congressional District, you can use all the deceased voters you can get. That doesn’t mean that every single one of these would-be voters are actually voting. Even a large portion of dead voters can’t seem to pull themselves off the couch to make the trek to the voting booth, but there certainly is the potential. One of the greatest features of an election is that the people get a fair and equal opportunity to vote for their candidate of choice. Another great feature is that the candidates get a fair and equal opportunity to run for office too, right? In the United States, for example, the two major parties (Republican and Democrat) use outdated laws to make sure voters only have two choices — and not particularly good choices at that. This creates an environment in which people only see two candidates up on the stage on television during the debate. In the average voters’ mind, there are only two choices; and to vote for a third choice (Libertarian, Green, etc.) is just letting the enemy win, so who would do that!? If you want a piece of the pie, you have a few choices. 3. Get massive amounts of private contributions from foundations and corporations and approach the two major parties and attempt to strike up a deal to get them to let you into their club. You’re going to need a lot of money. You’re going to need a lot of influence. You’re going to need a lot of power. There are many amazing things you can do to influence an election by first accusing your opponent of being a racist. One is to accuse your opponent of being a racist for requiring voter ID. If you are a democrat, you REALLY want to pay attention to this one. There is an amazing quality of most people that is easy to manipulate. They really really don’t want to be called a racist, and they’ll do anything to make the guilt go away. Now, this strategy is a bit more nuanced, but incredibly effective if executed correctly. End goal: Get the vote of the undocumented illegal aliens and anyone else not eligible to vote. Step 1: Accuse your opponent of being a racist for requiring voter ID. This step is a lot of fun because you get to accuse the other guy of being a racist while at the same time you get to actually BE a racist by suggesting that minorities are too dumb to figure out how to register. It’s brilliant! Step 2: Once voter registration is no longer required, you announce to the undocumented population—who are most likely to vote democrat on account of the possibility of “free stuff”—that they’re free to vote, unharassed. NOTE: Only make this announcement through back channels and word-of-mouth. Announcing this kind of thing on mainstream media would be political suicide. In some elections, there is a common belief that every vote counts. For example, in India, a man by the name of Mahant Bharatdas Darshandas, a temple priest, has his vote counted every election by a team of election officials who travel over 35 km to collect his ballot. “According to the election commission, no citizen should ‘ordinarily travel more than two km to reach the booth.’” Sounds fair, right? However, if you want the opportunity to influence and manipulate the election in your favor, you definitely don’t want to encourage that kind of policy. 1. Don’t open enough locations: This first strategy is a gift that keeps on giving. Make sure there are not enough polling locations to service the population of the area. Result: super long lines which lead to wait times that are so long that people give up trying. “October Surprise” is American election jargon due to the fact that major elections are officially held in early November, so you need to spring a surprise trap on your opponent in late October. Right before an election, release information about your opponent that’s likely to make people not vote for him or her. It doesn’t particularly matter if it’s true or not. It just has to be believable enough to convince voters that you’re opponent is Satan, and you are the obvious choice. What you don’t want to do is expose the information too early because people might forget about it by election time and your opponent will have time to produce a counter campaign. You also don’t want to release it too late because people will have already locked in their decision and will easily recognize your strategy as a petty last-ditch attempt to secure the vote. It doesn’t matter if you knew this information months beforehand. You need to use it for your own personal gains, right? Who cares if the public had a right to know what you knew when you learned it. I’ll just drop this link right here—basically a how-to guide—and move on. If you have any hope of winning a close race, you’re going to need to enlist every single registered voter you can get—as well as some unregistered ones. Illegal immigrants: This strategy requires a bit of pre-game setup in order to work properly. (See: #17 and Side Strategy #2) Illegal aliens (often referred to as “undocumented” or “refugees”) are not technically allowed to vote, however, only two states actually require proof of citizenship in order to register (Arizona and Kansas). Use that to your advantage. Welfare recipients: There’s a clear conflict of interest here that must be exploited if you want to win. These voters are vital to your success if you are able to offer them more “free stuff” than your opponent. This strategy pairs well with #6 and #17. Tell them all about how you’re going to pay for their “free stuff” by taxing those evil greedy rich people. That will get them on your side in two shakes of an EBT card. I mean, he does make a good point, but that’s just the crazy ramblings of ol’ Ted Nugent. Nobody really pays any attention to him on voter laws and policies anyway. As long as he doesn’t get his way, you’re good to go. As you’re putting together your strategy for a fair election (wink, wink), make sure you protect your flank by gaining control of law enforcement and government agencies. There are many great men and women ahead of you who have laid out the groundwork for how this is to be done. Remember our friends, The Black Panthers (#8)? As it turns out, Judicial Watch investigated, and after suing the DOJ, obtained explosive documents that show Obama political appointees were intimately involved in the decision to dismiss the voter intimidation case against the Black Panthers. Having control over the law enforcement agencies in charge of investigating election violations is the best way to take some of the pressure off. This will leave you free to use all of the other tactics I’ve outlined for you without worry of getting caught, prosecuted, fined, or jailed. Owning the media is a time-tested bulwark against voters ever finding out what you are up to. With media companies under your thumb, you can take some incredibly risky chances with your election campaign and never worry for a moment if your activities will get reported in the news. Their umbrella of control spans most of the newspapers, magazines, books, radio and TV stations, movie studios, and much of the web news content of the United States. These conglomerates are in large measure responsible for inculcating the social, political, economic, and moral values of both adults and children in the United States. Control over the media is the superpower of superpowers; like an impenetrable invisibility shield to protect you from suffering the consequences of your actions. Enjoy! There are some solutions designed to close the gaps on election meddling and voter fraud. As a politician, you definitely don't want these solutions implemented. So be sure to fight with every fiber of your being to prevent these solutions from being implemented. This also makes it so that elections can be independently verified and audit-able by anyone who is interested in double-checking the official results. Again, this makes it so that people can independently verify the results. A relatively new possible solution to enter the arena is blockchain technology. It’s a technology that can help lower uncertainties about the identity of the voters and the accuracy of their selections. If you understand how blockchain works, votes become immutable after they’re recorded on the blockchain ledger. Unlike penetrable electronic voting systems currently in use, hacking the election results are about as close to impossible as you can get; and about as likely as Bernie Sanders having a fair shot in the 2016 democratic primaries. Dear reader, let’s set aside the satirical tongue-in-cheek tone and tenor of this tutorial and get real for a minute. I want to talk directly to you, the potential (hopefully legal) voter. The person who is going to have to deal with the consequences of the policy decisions made by the politician you and your fellow voters supposedly choose to be there. Free and fair elections are one of the pillars of healthy democracies; and by my estimation, “healthy” isn’t the word to describe ours. A more accurate description would be that voting is the illusion of choice. Previously, I offered a few potential solutions to solve some of these major insults to our democracy, but there’s a major roadblock in the way of implementing those solutions. The very lawmakers you need to change the laws and methods around voting are the very same people who greatly benefit from keeping this convoluted unsecured system in its current state. People get really passionate about this; proclaiming it’s your duty to vote—it’s your responsibility! People have actually stopped talking to me because of my stance against this very idea. With the constant firehose of election fraud stories, meddling, manipulation, cheating, and predictably corrupt politicians, what is the fundamental difference between your vote not counting and not voting at all? Is it really true that you can’t complain if you don’t vote? I don’t have anything against voting in principle as long as it’s voluntary and non-coercive; as long as it doesn’t go against core values like the Non-Aggression Principle (NAP). In this scenario, I totally understand the idea behind the “no vote, no complain” myth. Let’s change it up a bit. The scenario is the same: Friend asks opinion, you have none. They get married and start having troubles. You start complaining about how things are going. The only difference is that you live with them with no option to leave, and the choices they make directly impact your life. In this case, do you have a right to complain? If this scenario sounds strange, imagine that you are a child of a divorced parent entering a new relationship. Not so crazy is it? Here’s my point. If you don’t vote, you can complain. In fact, you have an absolute right to complain because your life is still directly impacted by the policies of the elected; with ZERO option to opt-out. I appreciate you taking the time to read “A Politician’s Guide to Rigging... I mean, Winning an Election.” If I am missing anything, please let me know at daniel@unframeofmind.com and I will add it and give credit where credit is due. Are emotions getting in the way of everyday life? Do you find yourself inconvenienced by moments of empathy toward your fellow man? Do you occasionally suffer from showing feelings of an Almost Human Nature? This will not do. Time to ask your doctor about Zombitol.